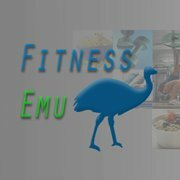 The FitnessEmu website is soon to go live. I recently finished up the last of his quick-link buttons and finalized all of the social media pieces. Now we just get to wait for the official release so we can keep tabs on what the Emu is up to.